Lost member. RIP mx594m. - Miata Turbo Forum - Boost cars, acquire cats. We lost an active mt.net member and miata enthuziast last night. 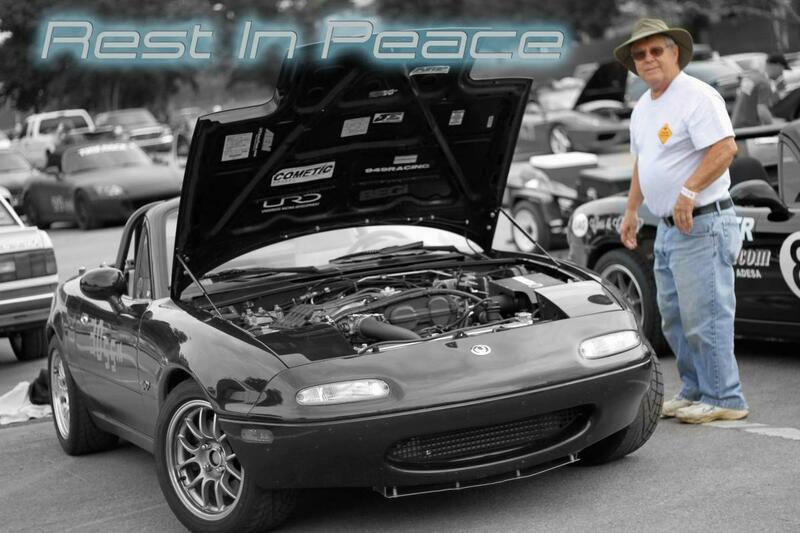 Roy was riding shotgun in his own turboed miata when it left the road and he passed due to head trauma. Please leave your condolences for Roy here. Here is another news story with some additional information. At least he was in his pride and joy car, better than in a nursing home. While we all enjoy our cars and our lives, one can quickly end the other. Rest in peace good sir. If anyone in the Knoxville area has his wife's or families contact and could get it to me it would be greatly appreciated. I would like to get a card sent out from the mt.net community. Very sad news. RIP sir. Godspeed Roy. You will be missed. I will forward Roy's mailing address to Scott's email (I'm not sure I have your email address Lars). Damn, what a bummer. We all know the consequences, and I'm sure he did too. Glad the young girl lived at least. I wonder what his relation to the younger girl was, and why she was driving? Wow, just wow. He was a great customer. Scott got it to me. Thanks a lot. I will pick up a card today at lunch and get it sent out. I hope this is not disrespectful, if it is definitely remove the image. but.. Such a sad day. I found mr sheely on facebook and the guy lived and breathed miatas, I spend all day every day on this board and I don't think I come close to him as far as the hobby goes. He will be missed. Damn. That second article was paywalled, but the first few sentences said the car went down a 30 foot embankment before hitting the tree. WOWWWW that is so terrible. I hate hearing about anybody leaving us. Hopefully it was quick and painless for him. That does look like one hell of a wreck. Also, looks like he was a Vietnam Veteran, going by his tag. The link I posted was for Local 8 Now - Home - News Sports Weather. If you look on their front page you should be able to find a non-paywall link to it. Quick Reply: Lost member. RIP mx594m.